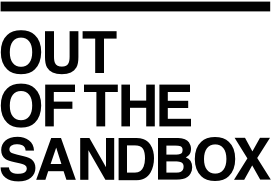 At the Out of the Sandbox Help Center, we receive queries about various types of issues merchants face during the operation of their online stores. We have accumulated a number of tips to avoid common pitfalls and prevent issues from occurring. 1. Altering/customizing the code template files - often in an attempt to modify the functionality/appearance of the site in ways that are not possible with the built-in settings and features, developers and merchants will create issues by adding/removing/modifying the code templates, resulting in unintended conflicts. We suggest avoiding these types of customizations, and reaching out to a qualified Shopify Expert from our list of recommended service providers for direct assistance with your requests. 2. App Installations - many app installations result in automatic alterations to the theme code, which can create the same unintended consequences. We generally suggest keeping app installations to a minimum by reviewing your apps periodically to ensure the intended functionality is indeed a requirement for your store's operation. Cutting down on unneeded apps will also improve your pageload speed. 3. Keep Track of Customizations and Installations - it is helpful for troubleshooting to know what changes have been made to the theme code, either through manual changes to the code, or app installations. For a helpful tool to see all the changes that have occured to your Out of the Sandbox theme, check out our Theme Updater App Pro Plan, which offers you the ability to see ALL the changes that have occurred to your theme’s code compared to the original default code.